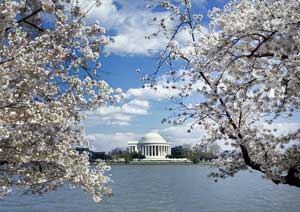 One of the most anticipated times around Washington D.C. are the cherry blossom trees blooming in the spring. When you see blooms, think pollinators. 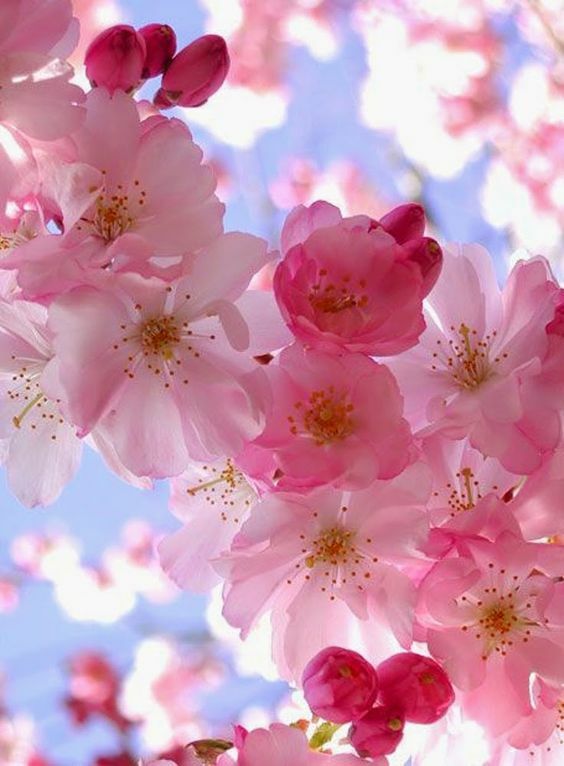 We have changed our clocks forward an hour, the weather is getting warmer and the cherry blossoms are coming into bloom. March 20th is the first day of spring. What does all this mean? It is time to get ready for our outdoor growing season! One thing that we take for granted when we see our flowers and trees bloom, is the pollinators that are required for our plants and our survival. Without our pollinators we would not have the beautiful flowers that produce the fruits and vegetables that we need for our survival. We can help our pollinators by planting plants and trees that occur naturally in our region so that the pollinators will have the food that they need to eat. We can also help our pollinators immensely by limiting the herbicides and pesticides that are applied to our lawns and gardens. When a bee flies across a green lawn that may look great to us, the bee sees a green desert with nothing for nourishment. We love to look at the cherry blossoms, the apple trees and other fruit trees that are coming into bloom. As pleasing as the blooms are, I would take a cherry or apple pie any day over just having blooms with no fruit to consume. There are many pollinators that need a hand nowadays but I would like to point out the mason bee that is going strong. I did an interview with Dave Hunter, owner of Crown Bees, if you would like to read again, I will provide the link here for Part 1 Mason Bees and Part 2 Mason Bees. You can think of bees as being cold-blooded and they need the warmth of the sun to get going. Your bees will have more time to fly and do all their work if they have a warm place to live that faces the morning sun. They also prefer a home that is stable, not swinging in the wind. • Within about 300ft/100m of your fruit & nut trees and berry patches. • On a solid wall, fence, or post. • Facing the morning sun (S or SE). • Height: about your eye-level for easy viewing. Don’t give raccoons or other critters easy access to your bees. • Avoid installing the bee house right next to a bird feeder or a birdhouse. • Remember to keep plants trimmed for a clear bee-line to the house. Worried about birds?Birds might be attracted to the bee house and keeping your bees safe is easy. Get some wire cloth with 1″ openings and attach it to the front of the bee house. Make sure you give the bees space to move inside the house by bubbling the wire so that it’s 2-3″ away from the nesting holes. This keeps bird’s beaks from being able to get to the bees. I’m really proud of this new invention we’ve produced to ensure mason bees get the right type of moist, clayey mud. Place your mud (or use ours that’s included) on top of the “black water transporter”. The water stored below is wicked up to the clay and lasts for a week or two. Four mason bee doors are just the right size to prevent frogs from eating them on the ground. What could be cooler than this? In our NW bee-raising grounds we’re going to conduct an experiment to see what type of bee cocoon increase we’ll have this season. On Vashon Island are 225 bee raisers. A random third will get the Mud Box… We’ll report those results to you in a future Bee-Mail. I’m confident mud is the number one issue impacting mason bee returns. I’d try it out if I were you. We have it at a fairly low cost! While our Guatemalan wood raindrop was a great seller, we found that about one in twenty cracked earlier than we’d like. Quality is very important to us and we needed to replace it. We found a wonderful pottery shop in Colorado who could make the same raindrops in clay then bake them to stone. We love the design and durability. Each is unique and handmade. We’re substituting the stone raindrop into our previous kits. You’ll have a choice of either white or chocolate colors! Our 4mm tubes for the smaller eastern US states is shipping to us this week. We should have them available on our website by end of next week. Consider placing these out amongst your 8mm mason bee tubes/reeds/trays this spring. Mason bee house, holes, and mud are set up correctly. Weather for the foreseeable week isn’t stormy or snowy. While bees can handle small weather bumps, you will be more successful to wait a few days if in doubt. Placing your bees out to emerge is easy! We want your mason bees to memorize where they came from. If they crawl over the nesting holes, it’s helpful. So, place your cocoons either loosely or in a small container (dixie cup) behind your tubes/reeds/trays, or on top of them. Don’t place your cocoons on top of the house as things might blow over. Think through wind protection and beware of the cocoons as perfect “bird treats.” If it’s windy, ensure your cocoons won’t blow out. If you are concerned about birds, place chicken wire (3/4″ holes) on the front of your mason bee house. By placing the cocoons out in the evening or early morning, We believe they’re more likely to hang around. Many of you may be concerned that your bees may not be coming out when you want them. Please, rather than call us, read this web page I wrote this week that answers a lot of your questions about when should they emerge, what to look for, etc. If you have an early blooming tree, such as a plum, that might be too early-blooming for your mason bees, you have three choices. 1) Do nothing 2) Hand pollinate your tree with a feather duster or mittens 3) Pull a few mason bees out of hibernation early. Using sharp scissors, you can cut the cocoons and let the bees out early.